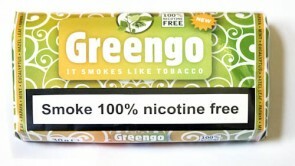 If you've quit traditional smoking then these herbal smoking mixtures are a nicotine and tobacco free alternative. They're better for your health, don't contain any nasty chemicals and even cost less, so it's a good switch for your wallet as well. These mixes are 100% natural and can be smoked just like tobacco and hand rolled. Our stock contains mint, papaya, eucalyptus and hazel leaves. You'll love the delicious scent as you open the pack.